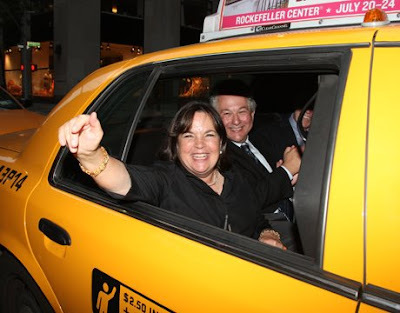 kitchen of the year with Ina Garten! It was gorgeous and so inspiring! 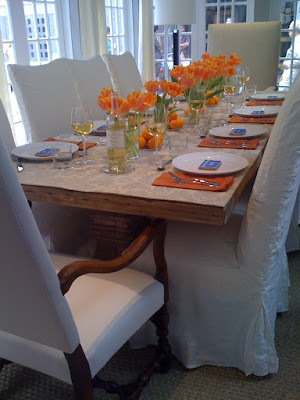 or look for it in the October issue of House Beautiful! What a beautiful kitchen! I just LOVE Ina. How cool is that?! That is so awesome. She inspires me. I think I would pee my pants. What beautiful photos. So inspiring. She is my favorite. 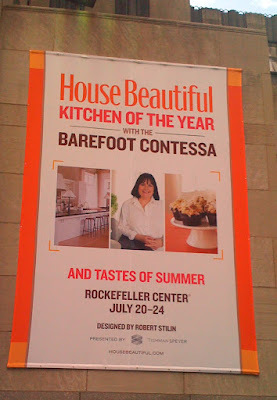 I love all of her cookbooks...so jealous! 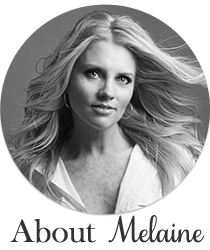 Hello Melaine - simply gorgeous. That's all I can say. Thank you for sharing these beautiful photos with us! Wow, how fun! Great kitchen!! how fun! 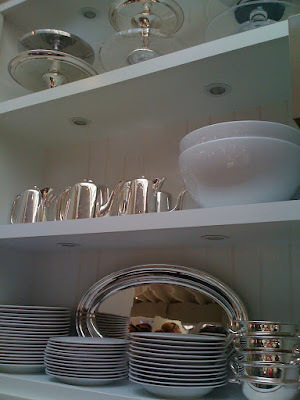 Love the kitchen (also love Ina's kitchen!) 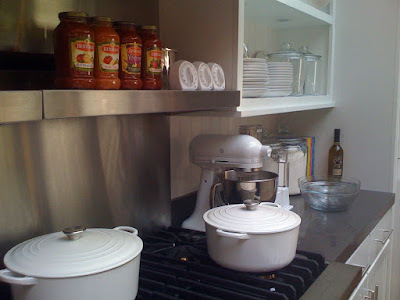 I want a white Le Creuset dutch oven! Thanks for sharing! BEAUTIFUL KITCHEN!!! 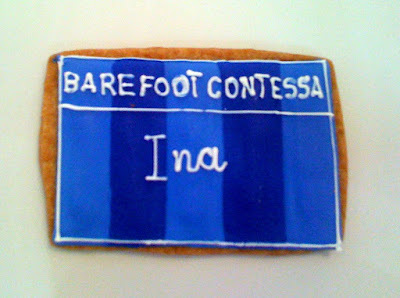 I just had a Barefoot Contessa moment with my daughter....see my blog! LOVE HER!! 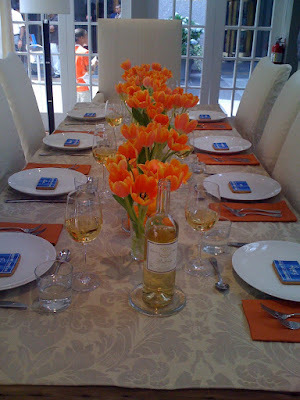 Ooh, I especially love the slipcovered dining chairs - just beautiful! Very, VERY cool! Love her new cookbook! WOW!! 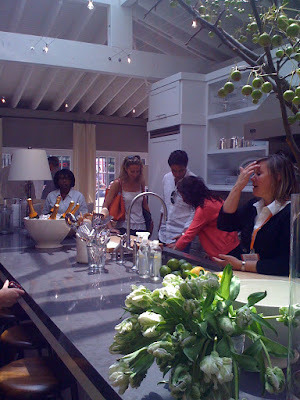 Beautiful kitchen but what a great thing you got to experience! I love New York and could go back over and over again. If my trips were as exciting as yours I would never want to leave. Welcome home, glad you had such a great time. 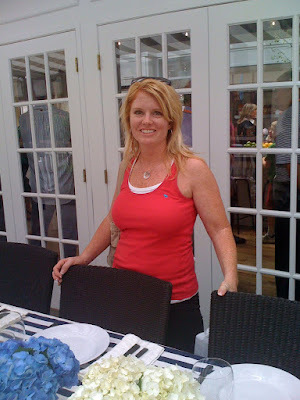 I was watching The Today Show when Ina was on that day....that is so cool you got to be there in person! 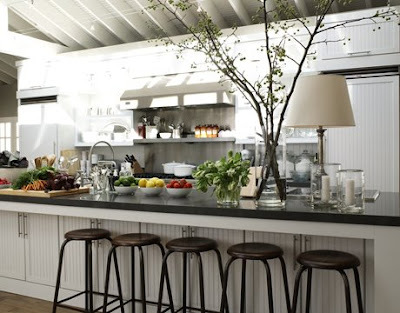 I love this kitchen and how open and airy it feels. You're a lucky girl for being able to tour it in person. Too much fun! 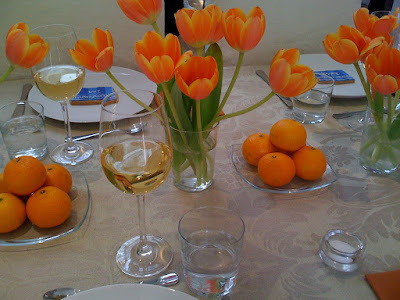 Well I am happy that you are home ~ I was running out of girl-y blog posts to visit late in the evening after my kids go to bed. On another note, we met briefly at the Snohomish Antiques Faire, were I bought a few things and have been meaning to thank you. 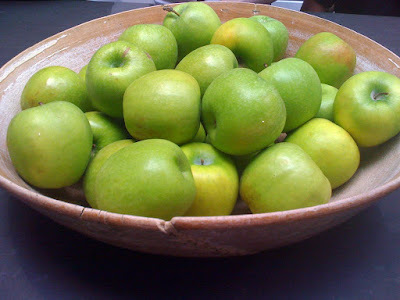 I did get my A.D.O.R.A.B.L.E pots and even gave you a shout out on my blog. Continue to Inspire! 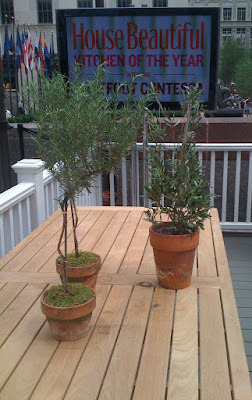 And you can see the cute pots you made for me here: http://www.thesweetestdigs.blogspot.com/ ~ Tanya P.S. I'll send you pictures of the chicken coop. It's almost done. 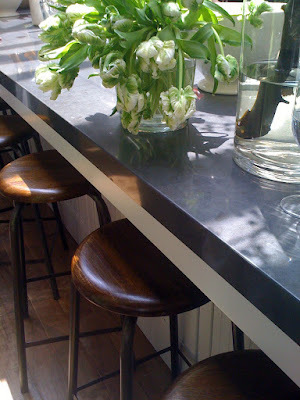 Love NYC - looks like Ina's kitchen in her home that was featured in HB...LOVE, LOVE, those stools! that sounds like my dream. so much fun! 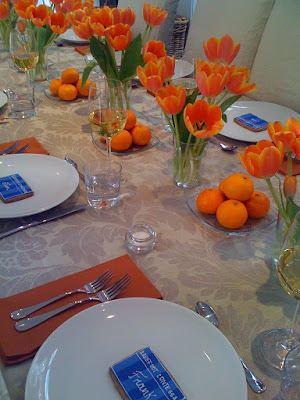 i love the orange tulips with the oranges. beautiful!